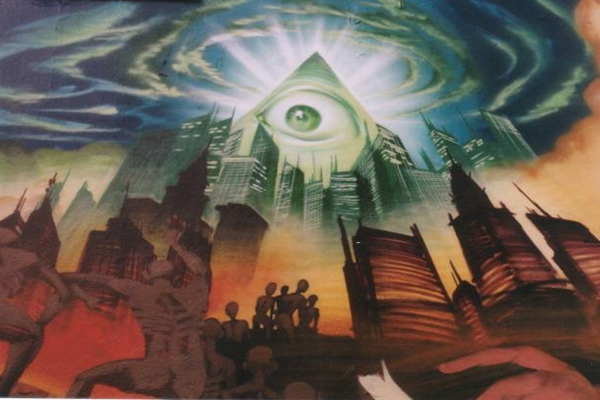 Pakalert Press » The New World Order: Does It All Just Boil Down To A Battle For Your Soul? Atheism became the cult of choice among the communists, for in an atheist world there is nothing beyond the veil. There is no greater goal and no inherent self. There is no true individualism, only self interest (not the same thing), the trappings of environmental circumstances, and the constant substantiation of the greater good. By extension, there is no inborn moral compass or conscience, only the social fashions and mores of the moment. In such a world, tyrants reign supreme because atheism allows relativism to flourish; and any crime, no matter how heinous, can be rationalized. Beyond this, if you know and study the real history of the rise of communism, you know through great researchers like Antony Sutton that the very fabric of the system would never have existed without the monetary and military aid of international financiers (i.e. the NWO). The atheist position uses the same arguments I have just made as a reason to remove religion and spirituality from our cultural influences. And in some respects, atheists are right. Religion is a tool that can be exploited to manipulate the masses. Any system of belief that is faith-based can be misinterpreted and abused in order to lure unwitting dupes and mindless followers into the fray of an engineered disaster. Atheists commonly argue that it is the encumbering nature of faith that causes mankind to destroy itself in the name of zealotry and self-righteous ignorance. The difference, however, is that religious zealots are still required by the confines of their dogma to at least appear as though they follow a moral code. Therefore, they can be exposed as violators of this code and weakened over time. The atheist/collectivist system, though, thrives on the concept that there is no such thing as a moral code and that one is vindicated and heroic if he takes extreme action to prove that traditional morality is a vice, rather than a virtue. Atheists in positions of power often make no attempt to affirm their actions; rather, they demand that society abandon all conscience and sense of natural law. They do not ask for forgiveness; they order you to apologize for your moral compass. Are some atheists good and honorable people? Surely. The point, however, remains; atheism is the new flavor of the era, the increasingly predominant gravitational center of modern culture, the philosophical soil in which the NWO has chosen to grow its globalist experiment. What atheists don’t seem to grasp is that atheism is itself based on an act of faith: faith in the idea that there is nothing beyond our perceptions of existence. They have no more factual knowledge of what lay at the center of life than any of the religious acolytes they so fondly attack, yet their own hypocrisy is apparently lost on them. I would not pretend to deny that religion has the ability to create a volatile atmosphere edging toward genocidal tendency, but so does any belief system that assumes it is the paramount of knowledge denying all others. The intellectual intolerance of the socialist atheism of the 20th century spawned a death machine that claimed the lives of millions of people. So, clearly, atheists should be more concerned with the violent tendencies of their own ilk rather than the religious “fiends” they seem so obsessed with. Of course, this is a history modern atheists would rather ignore or rewrite. I have always been concerned with the dilemma of the collectivist ideology, but even more so in recent months, as our world creeps closer toward global crisis. Crisis always provides circumstance and cover for dangerous philosophical totalitarianism. Firstly, I have a hard time taking anything published by the Huffington Post seriously. Secondly, I have a hard time taking anyone using the name “Zoltan” seriously. Thirdly, I have a hard time taking anyone who labels himself a “visionary” seriously. That said, it is important to study the propaganda of the other side carefully. You never know what kinds of truths you might come across amid all the lies. The article does not really define what it considers “indoctrination”, but I would assume transhumanists and atheists would argue that anything not scientifically proven could become indoctrination. Interestingly, Istvan starts his tirade against the handing down of religious beliefs by admitting that science has added very little to our overall knowledge of the universe. After all, human beings experience only a narrow spectrum of the world around us, and there is indeed much we do not know. For some reason, it does not dawn on atheists that perhaps our limited scientific observations of the universe do not necessarily outweigh or deny the existence of an intelligent design. Transhumanism, a mainstay of global elitism and the New World Order, also uses fantastical images of scientifically created contentment to sell itself to starry-eyed rubes packed into the circus tent of the technocratic carnival. The very essence of the movement is the argument that one day ALL knowledge of the universe will be obtained by mankind and that through this knowledge, we (a select few anyway) will obtain godhood. Again, as in the Huffington Post column, the claim is that science knows all or will eventually know all and that whatever has not been dissected and observed by science like the conceptions of religion must, therefore, be dubious myth. Ironically, there is far more scientific evidence of God and spiritual life than there is evidence against. So by the very standards many atheists hold dear, it is they who are peddling indoctrination rather than truth. In the world of mathematics, the good friend of Albert Einstein, Kurt Godel, is famous (but not as famous as he should be) for writing what would be called the “incompleteness proof.” In mathematics, a proof is a statement that is ALWAYS true and can always be proven true. Godel’s proof shook the very foundations of the mathematical world, because it outlined the fact that all mathematical knowledge is limited by numerical paradox, and that humanity will never be able to define all things through mathematical means. Global elites such as Bertrand Russell had spent years of effort attempting to prove that mathematics was the unbridled code of the universe and that the universe could be understood in its entirety through the use of numbers. Godel shattered this delusion with his incompleteness proof, establishing once and for all that math is limited, not infinite. The existence of mathematical paradox along with an undefinable “infinity” lends credence to the religious view that there are indeed some things man will never know, but at least he has the ability to prove that he can never know them. In the world of quantum physics, the work of Werner Heisenberg, along with that of many other scientists, has shown that the very mechanics of the world around us are not at all what they seem and that traditional physics is only a hollow shell of knowledge limited by our ability to observe. The Heisenberg Uncertainty Principle dictates that the observer of a particular physical state always affects the object being observed, making it impossible to know all the data necessary at one time to predict the future of that object. If a person hoped to become a god, he would certainly need to be able to tell the future; and to tell the future, one would need the ability to observe and record every aspect of every particle interacting in the environment around him. Any unknown quantity could change the outcome of any particular event. Heisenberg found that particles act very differently depending on how they are observed. In some experiments, he even discovered that individual particles appeared to be in two places at the same time, thus making them wholly unpredictable. This behavior in the building blocks of matter is confounding to many in the realm of physics. Add to it the fact that scientists remain fixed on an endless and apparently futile quest to find the base particle that makes up the universe, and once again we find that the dreams of the transhumanist atheists to attain godhood fall terribly short. In addition, the apparently “intelligent” behavior of inanimate particles under observation leads one to question whether the universe is really just a chaotic mess of matter, or a dynamic living machine. The most important aspect of archetypes for our discussion is the existence of opposing views, or “dualities.” The concepts of good and evil, the concepts of conscience as well as guilt and regret, are not necessarily taught to us. Rather, we are born with such elements already within us. The fact that we are born with an at least unconscious understanding of good versus evil means we have the potential power of choice, a power beyond the realm of environment and beyond the reach of would-be tyrants and collectivists. If this does not constitute scientific evidence of a human “soul,” then I do not know what does. The fact of archetypes is undeniable. The question is: Since they do not come from environment, where do they come from? Istvan’s column doesn’t mention or regard any of the scientific evidence for the existence of an intelligent design. He merely argues that science is the only definable known quantity, and only the known quantity is an acceptable form of belief. But what if the known quantity is so limited as to make a society dangerously ignorant? The article goes on to promote (somewhat shamelessly) the author’s book, in which the hero, a transhumanist atheist, is given the power to reshape society into any form he wishes. The hero questions whether he should remove religion from the picture entirely, for if religion were erased, wouldn’t the world finally be at peace? Istvan himself questions whether religious expression should be banned in the case of children, so that they are given the chance to “choose” what they wish to believe later in life. This, of course, disregards the fact that children are already born with the prospect of choice, which is why many children who grow up Christian do not practice it later in life, and why many children from atheist homes end up joining religious movements. The idea that all children are permanently molded or damaged by their parent’s unchecked beliefs is complete nonsense. What the author reveals in his work of fiction is the greater threat of the atheist and transhumanist ideology — namely, the arrogant assumption that they know what is best for the world and the public based on their scientific observations, which are limited and often misinterpreted. This problem extends into the oligarchy of globalists, who adore the theories expressed in Plato’s “The Republic,” in which an elite cadre of “philosopher kings,” men who have achieved a heightened level of academic knowledge, are exalted as the most qualified leaders. However, leadership requires more than knowledge, even if that knowledge is profound. Leadership also requires compassion and informed consent, two things for which the elites have no regard. The New World Order, an ideal often touted by globalists and defined by their own rhetoric as a scientific dictatorship in which collectivism is valued and individualism is criminalized, seems to me to be — in its ultimate form and intention — a battle for the human soul. They try to convince us that there is no such thing, that there is no inborn conscience, that there is a rationale for every action, that spiritualism is a frivolous and terroristic pursuit, and that cold logic and science, as defined by them, are the paths to prosperity and peace. They also seek to tempt the masses with imaginary stories of attainable godhood and artificial Eden, promises on which they can never deliver. Anyone can point a gun at you and demand your fealty, but this is not what the elites want. Rather, they want you to voluntarily resign yourself over to the hive mind and sacrifice your conscience in the process. While one might argue over what it is they “truly” believe at the core of their cult, it is undeniable that collectivism, moral relativism, and atheism are their favorite promotional weapons. The reactionary responses to my criticisms of the elitist philosophy will likely involve endless renunciations of crimes committed in the name of religious fervor. I agree; religion has always been exploited, usually by the elites themselves, to enslave as well as to murder. Even today, I hear some so-called Christians argue in favor of genocide using half-baked interpretations of biblical reference. But at bottom, I much prefer a world in which religious expression is free, rather than abolished in the name of an overarching zealotry in the form of a stunted mathematical morality. I prefer a world where the spiritual side of existence is allowed to add to observational awareness. Logic alone is not wisdom, after all. Wisdom is the combination of reason, intuition and experience. I refuse to live under any form of theocracy, whether religious or scientific. The idea that we must choose between one or the other is a farce — a controlled debate. The individual soul (or whatever you want to call it) is the only thing that matters. It is important that we never forget that when we fight against the NWO, we are not just fighting for liberty; we are also fighting for something profoundly and inherently spiritual. Though we might not be able to define it, we can feel it. And that is enough.